In recent weeks and months Nintendo has been doing its best to encourage gamers to keep their 3DS on the move, with Wi-Fi hotspots and Nintendo Zone making appearances worldwide. It's in Nintendo's homeland, however, that 3DS connectivity appears to be taking a major step up. It's been reported by Famitsu, and interpreted by Kotaku, that branches of McDonalds in Japan will distribute free exclusive 3DS content, in the form of DLC for Dragon Quest spin-off Slime Mori Mori Dragon Quest 3. There will be four separate items to download over a period of four weeks, with all of them needed to complete a specific set. There'll also be a free downloadable mini-game called McDonald's Slime Ship Battle DX, which will also work on original DS systems, with no other software or game carts required. Clearing the game will bring a reward of a one-day reusable coupon for use in the restaurant. 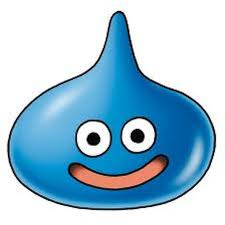 Although Slime Mori Mori Dragon Quest 3 isn't currently available outside of Japan, this promotion does promise much for similar opportunities elsewhere. What kind of DLC or mini-games would you like to receive in your local McDonalds? Aw man that would be so cool if it came to the U.S.!!! COME ON NINTENDO DONT FORGET ABOUT US!!! ThatClown: Now about your Happy Meal, what free eShop game do you want kiddo? Please come to the UK!!! PLEEEEEEEEEEEEEAAAAAAAAAAAAASE!!! Game and DLC here please! Cool. I'd like to see this kind of thing come to america. That's better than over here. The only exclusive stuff we've received at Nintendo Zone so far are some lame trivia games and Pokémon episodes that you can't hear properly over the noise of a public place like McDonald's with the 3DS's lousy max volume (and can't be downloaded for viewing elsewhere). On the bright side, the streaming is excellent. The whole episode played immediately and entirely without having to stop for buffering even once. Wow, that's pretty cool. I hope they'll do stuff like that here in the States. Then I'd have a actual reason to go to McDonalds besides stuffing my mouth with greasy wonders. shame nintendo are teaming up with mcdonalds, their food is disgusting. McDonalds is a few minutes from my house. I would love this. Im in japan. And there's a McDonalds near the base. I should go there and see if i'll get the DLC on my US 3DS. While taste-wise i'd also prefer Burger King i can at least visit McD's in my lunch break. I would actually go to McD's if they would do stuff like this. Prepare for racing on Mario kart as Ronald McDonald! Funny story, a few weeks ago when I was ranting on here about how limited Nintendo Zone is - in reference to Pokemon videos now being available to download - I jokingly suggested they change the name to "McDonald's Zone". Well now I'm not joking, they should just change the name to McDonald's Zone if that's where I have to go to use Nintendo Zone. Stupid Nintendo. No way I'ld be there once a week for 4 weeks running. They need to team up with a whole lot more hot spot providers - I'm thinking villages and towns and cities - if they want Nintendo Zone to be successful for them and not just a marketing gimmick for McDonalds. I wish this was in America. Heck, we came up with McDonalds (not like it's anything to be proud of).